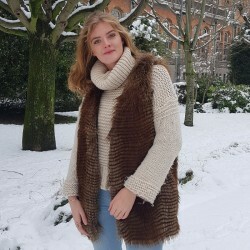 Beautiful wool and cashmere cape lined with faux fur! Pretty checked cape lined with faux fur! 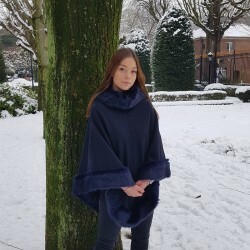 Glittery blue cape lined with very soft fake fur! 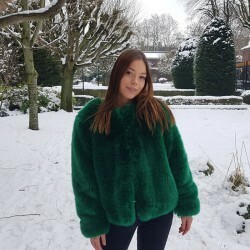 Green faux fur jacket ! 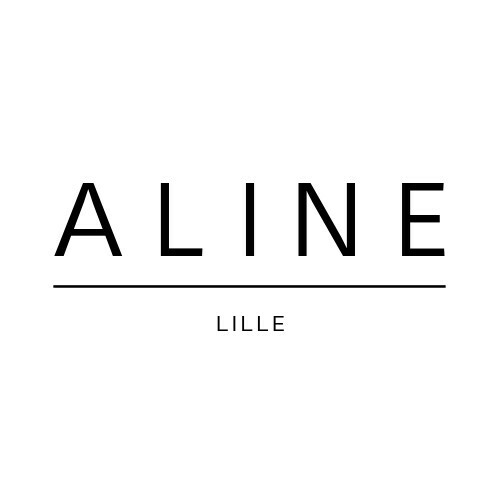 Aline's Fashion is more than a fashion brand. It's a an ethic project born from the involvement of a stylist for animal welfare. Hats , scarfs , faux fur headband ... all items are handmade. Read more about us.